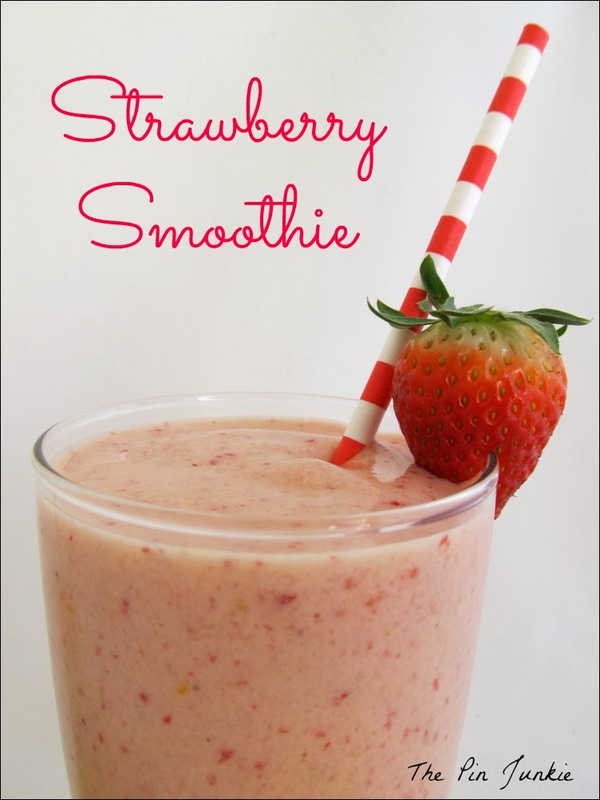 Nothing beats fresh strawberries, except maybe a strawberry smoothie! 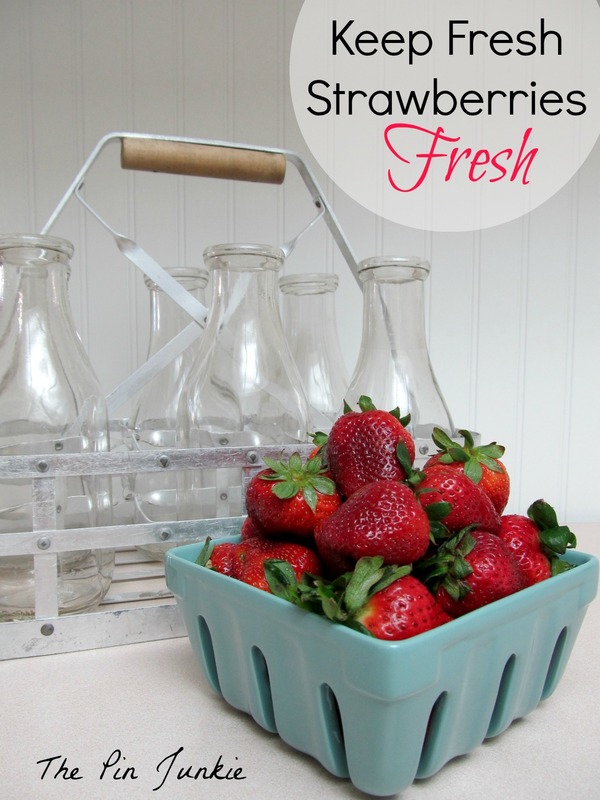 If you don't have fresh strawberries, frozen strawberries work too. 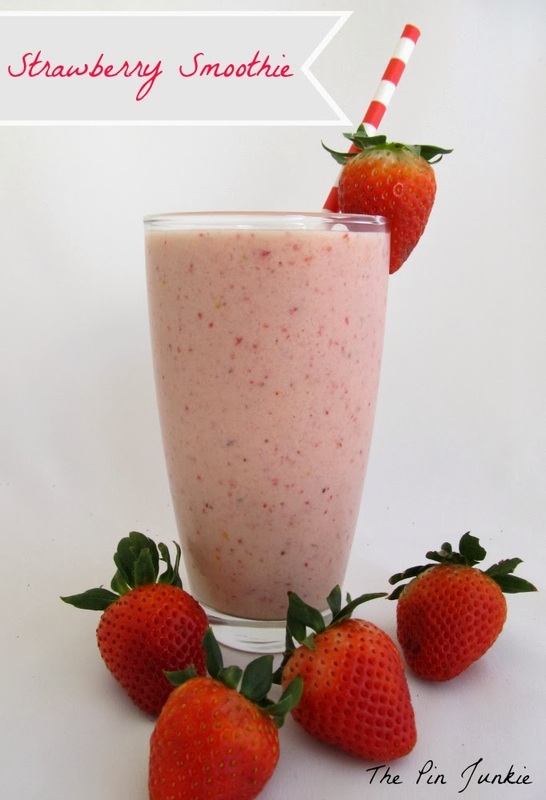 This strawberry banana smoothie makes a healthy breakfast or snack. 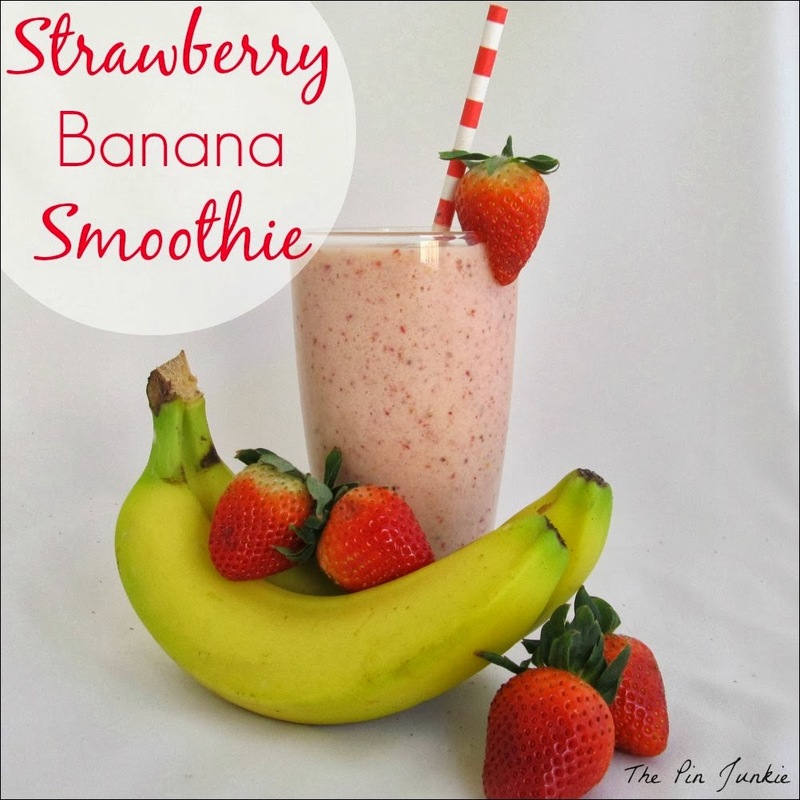 Just throw everything in the blender and enjoy! 1 Tablespoon frozen orange juice from concentrate. Yum! This looks great! Sometimes we freeze the bananas...that way they can work as the ice cubes and we pack more fruit and flavor in. My mother-in-law told me about freezing bananas. Great idea for when they get really ripe and then you can still use them for smoothies and banana breads. Stopping by from Kathe's, I wish I had this right now, look and sounds so good! This looks very delicious!! Reminds me of an orange Julius a little bit...... Pining!! I love making smoothies, especially with fresh fruit! Thanks for sharing this with Hump Day Happenings. I prefer fresh fruit over frozen too. I often freeze fruit and toss them in the blender for smoothies. Str. banana is one of my favs! Delicious! Thanks for sharing with SYC. That smoothie looks wonderful! Thank you for stopping by! Have a wonderful Easter! I am determined my three kiddos are going to like smoothies! Thanks for the recipe! Thank you so much for sharing on Show-Licious Craft & Recipe Party! Have a blessed Easter weekend! yummm for sure. I just wanted to let you know I will be featuring this post tomorrow morning on my blog at Tuesdays with a Twist, please stop by and take a look. Thanks again for linking up and have a great week. MmMM - love smoothies! Thanks for sharing at Take it on Tuesday!! How Delicious! Thanks for linking up with me. I'm featuring you this week! Thanks for the feature Jerri! I appreciate it! G'day Bonnie! 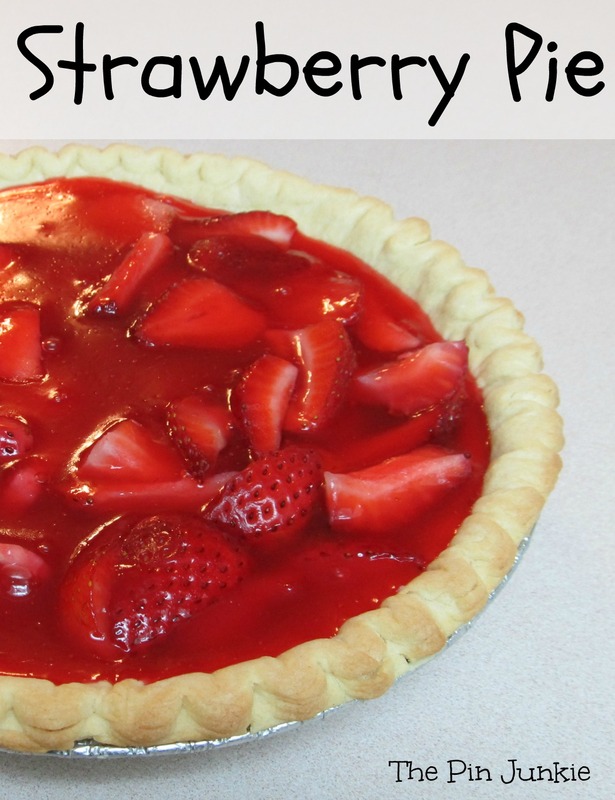 I have pinned this yummy recipe and shared on Google+. I love smoothies! Thanks so much for sharing at the Say G'day Saturday linky party.